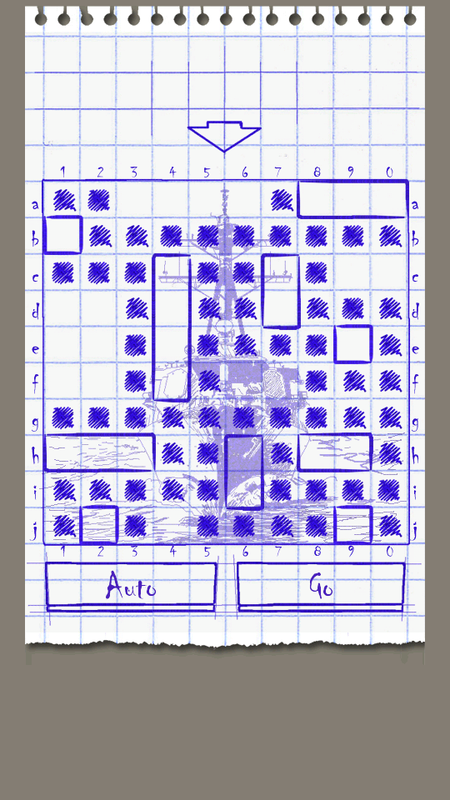 In my youth, one of the games I hated most was Battleship - it was simply too slow for my liking. Spending what seemed like ages trying to seek out hits in a sea of misses only served to bore me out of my mind. 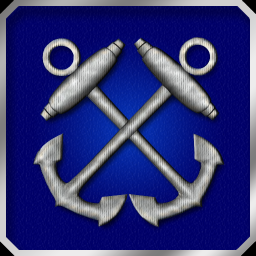 However, I was pleasantly surprised to find that Naval Clash eliminated most of my hate towards the game. 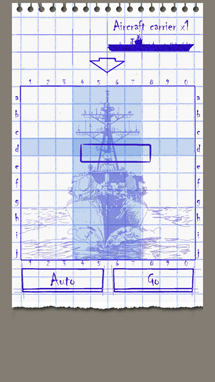 At its core, it's a rendition of Battleship that allows you to play against a CPU, friends over Bluetooth, or other players over Naval Battle's multiplayer service. Following the likes of Words With Friends, Naval Clash takes an old formula that "everyone" likes and makes it available on a mobile platform. 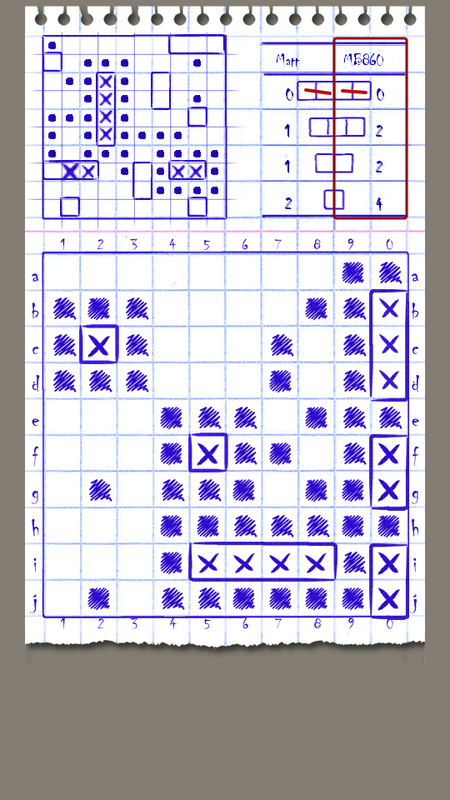 The aesthetics of the game give it the impression that the playing board is drawn on graph paper, which fits with the tagline of "the battleship of the day when computers were still huge." I actually prefer this look to one that features actual ships, as it keeps the action fast and furious without overcomplicating things. 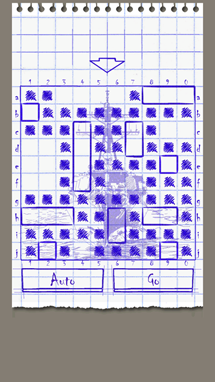 Players choose their own ship layouts and exchange shots back and forth to try to eliminate their opponent's fleet. You are scored by how many shots you use before winning, as well as the time it takes you to do so. 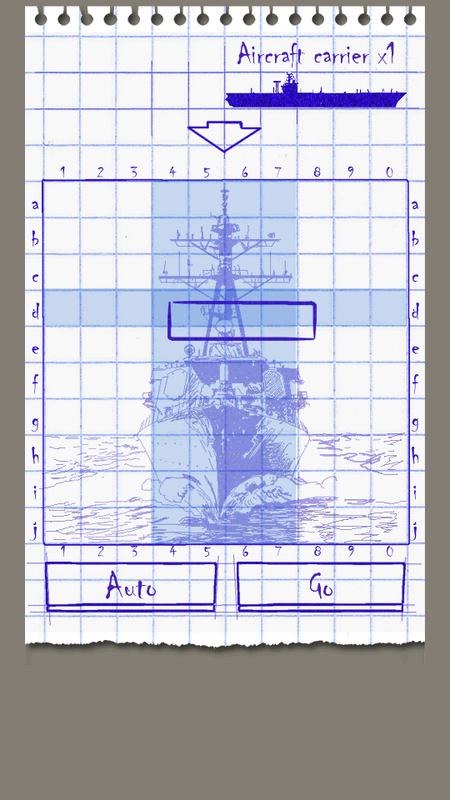 All in all, the game is pretty simple, but that's why it's so good: with Naval Clash, I played my quickest game of Battleship ever at a little over two minutes - and actually had fun doing it. Animations are smooth, and the transitions between players are quick. Even using the online multiplayer service, there wasn't any lag between turns, and I actually completed a whole game without any hiccups whatsoever. I can imagine that this game isn't the most complicated thing to run in the world, but it was just easy, which is exactly what I want. 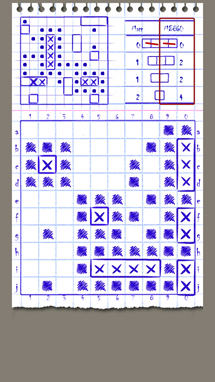 Part of the appeal of board games is that if both players know the rules, it is relatively easy to get a game going. Having to muck about with settings and connections and ports and proxies has always been a bit of a hurdle for online gaming in general, so seeing something that makes the experience seamless is something to be commended. The online games I played went so smoothly that I actually questioned whether I was playing a human or not; I'm trusting the game's indication on this one. I also have to give Naval Clash props for not trying to mess with a formula that works; adding power-ups or other confusion would only serve to complicate the game beyond what it already is. 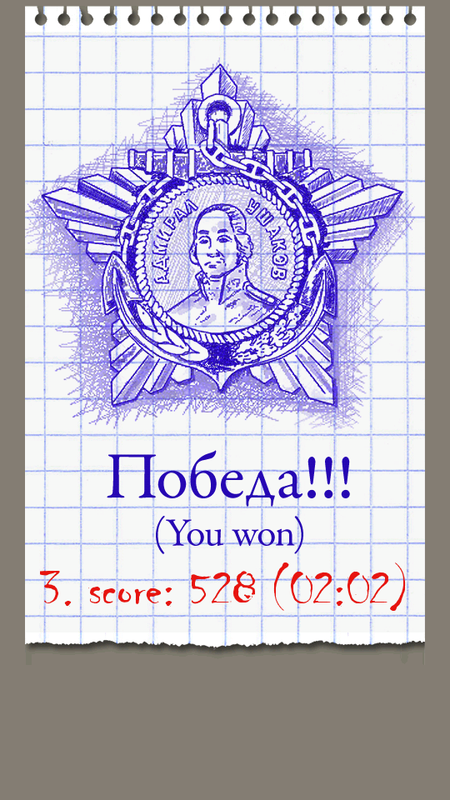 Instead, it solved the problem that was at its core: a slow game that requires a large chunk of time to play. A number of other reviews on the app are echoing my thoughts. Sometimes, users just want an experience they've come to rely on. Instead of diluting something that works with gimmicks and extra frills, it pays to be faithful to the original experience. It's like when I was playing Left 4 Dead 2 the other day and found myself on a third-party server that introduced RPG Mechanics to the game. While interesting in concept, it just served to bring the rest of the game down, as I had to fumble through unintuitive menus in order to spend skill points. This was all on top of a zombie invasion, so trying to navigate through menus while finding a "quiet" spot on the map served to be less than ideal. The upgrades also upset the balance of the game, which made it anything but fun. I'm not saying that developers shouldn't try to innovate on tired concepts; quite often, you'll add some metaphorical peanut butter into the chocolate and produce something great. 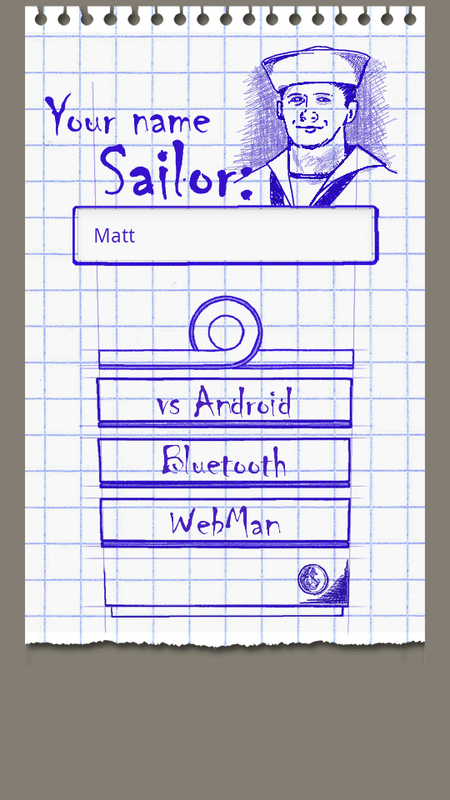 However, change shouldn't come at the expense of the rest of the app: in short, it should "just work" above all else. 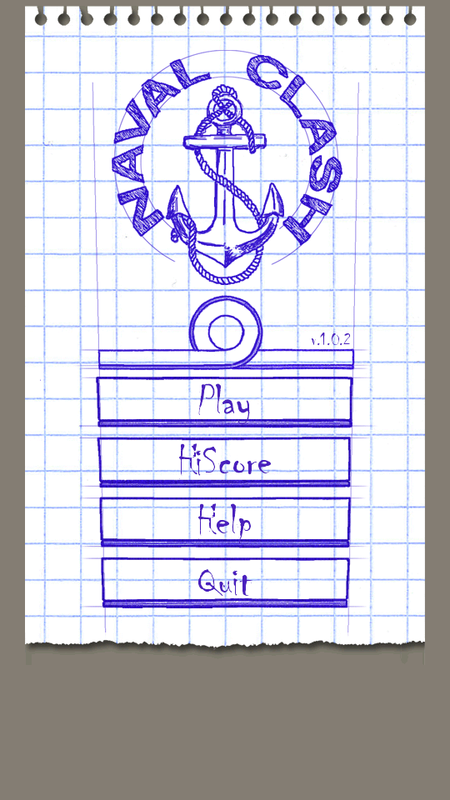 Naval Clash is a free download from the Android Market, and it's ad free. I definitely recommend you give this app a shot. Cut The Rope Finally Coming To Android This Friday?